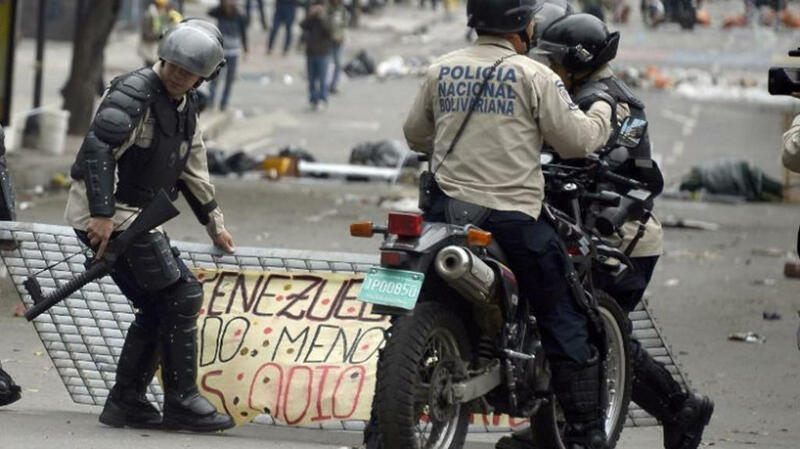 TODAY VENEZUELA NEWS – Insightcrime.org – the National Bolivarian Police used its informal WhatsApp networks to share the results of an operation that led to the rescue of a 65-year-old businessman, who, according to the police, had been kidnapped the same day. The operation was carried out in the Tuy Valley’s La Bonanza landfill in southeast Caracas. According to the police, the area is home to the kidnapping gang led by a man known as Buitre, or “Vulture.” Three men, including a 16-year-old adolescent known as “El Fresa,” were killed during the first stages of the police operation. Shortly thereafter the police returned to the site and found the kidnapped man inside a truck. The criminals supposedly returned to the area and exchanged fire with the police. All of them were killed. 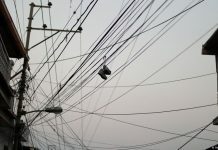 The dismantling of the gang was celebrated on social networks. According to newspaper reports, a bunker had been built in the landfill and was used to detain the people the gang kidnapped. However, there is no photographic evidence yet of this structure. 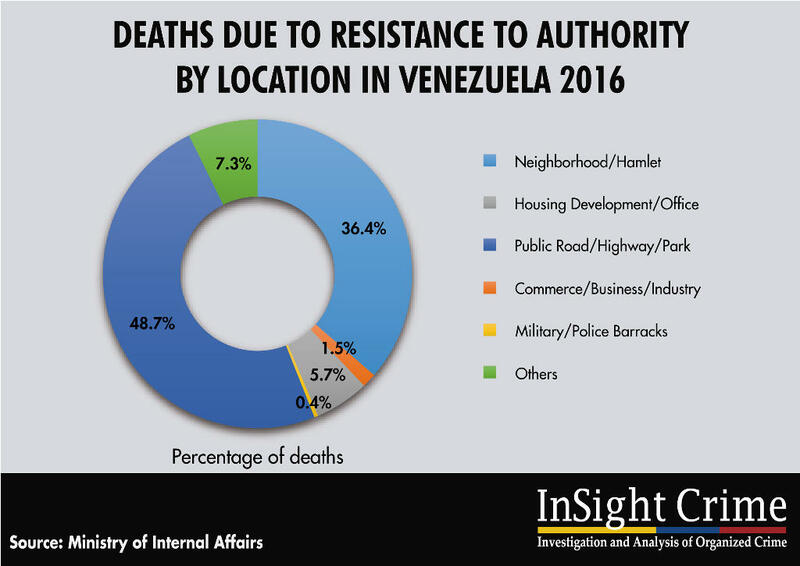 Classified data from the Interior Ministry (Ministerio de Relaciones Interiores – MRI) shows a significant increase in the number of deaths associated with clashes between criminals and military or police officials, which are registered under the technical classification of, “resistance against authorities.” During the first nine months of 2016, a total of 4,156 deaths were registered under this classification. 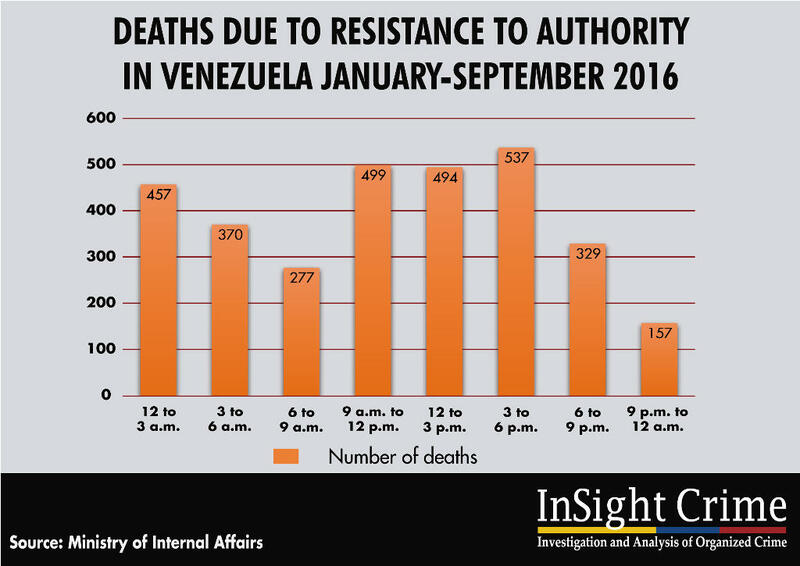 In other words, this year Venezuelan security forces have killed an average of 15 people per day, or one person every one and a half hours. Not all cases of “resistance against authorities” result in death. According to Roberto Briceño León, the Director of the Venezuelan Violence Observatory, death occurs in seven out of every ten of these cases. In 2015, the ratio was four of every ten cases. The eight killings in La Bonanza took place between 2 p.m. and 4 p.m., which according to the MRI is the time of day that the most deaths occur. However, a significant portion of these killings also takes place between midnight and 3 a.m., when police activities normally decrease. This would appear to suggest that police officers use the early hours of the morning to carry out violent activity. Well-known among these activities are the “People’s Liberation” operations, which began in July 2005 in Caracas’ Cementerio and Cota 905 sectors. According to one of Provea’s spokespersons, between then and October 31, they caused the deaths of 805 people. Approximately 560 of those deaths took place this year. 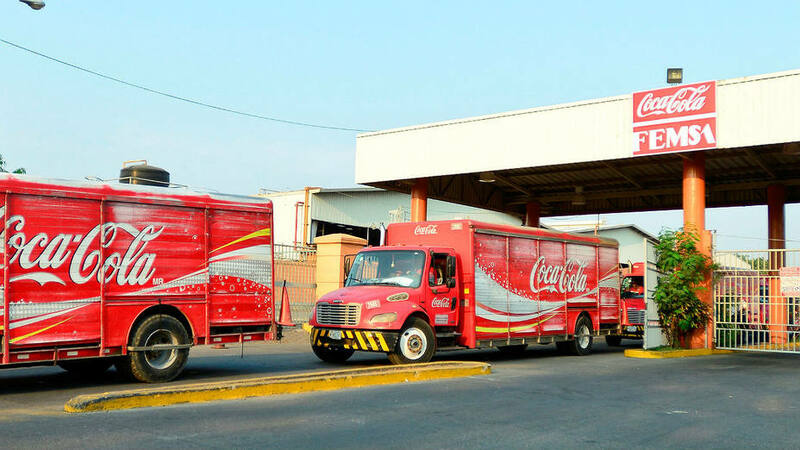 At the time of this writing, one of these operations was taking place in Caracas’ Pinto Salinas sector. Following the precedent of previous operations carried out across the capital, the operation began in the early hours of the day. Statistics based on police reports indicate that most of the deaths caused by clashes with police occur on public routes, highways and in parks (48.7 percent), and another significant portion in neighborhoods located on the outskirts of cities and rural villages (36.4 percent). However, police reports show little information as to the places where these deaths really occur. According to Rodríguez, field research shows that the agents enter people’s homes and execute the alleged criminals when they have surrendered and are in police custody. Although the prosecutor’s office tends to avoid talking about these cases, in August 2015 it had to go public after a police officer in Carabobo State killed a young man and then later returned to the house where his uncle lived and killed him as well in order to erase any evidence. In the same month, five Aragua policemen were detained after a video went public, showing the officers killing a man, after which three others were allegedly killed. 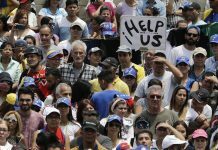 One of the reasons that could explain the increase of police violence is the growing number of criminal gangs in Venezuela, as well as the arsenals they maintain. “This uptick in the number of gangs was not something we were aware of and, unfortunately, it looks as though the police are a part of these criminal groups as well,” said Donnagee Sandoval, Director of the Fundepro foundation, which offers public officers legal assistance. 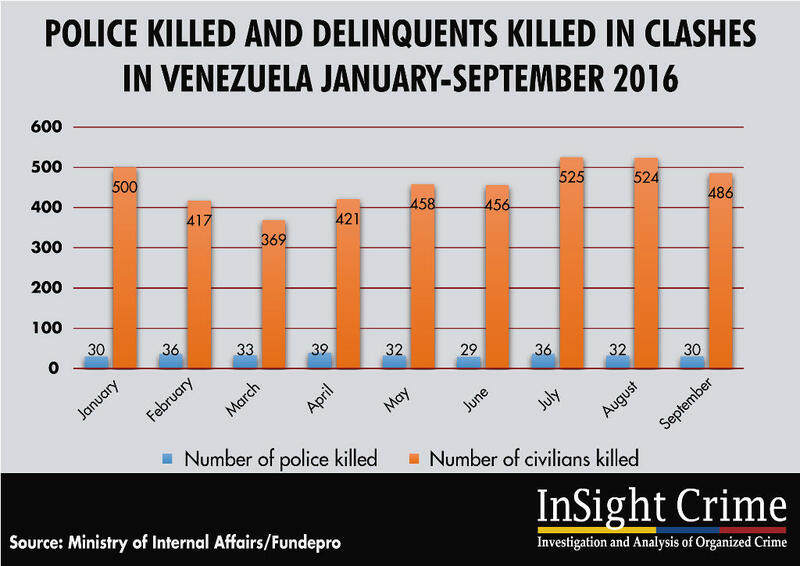 The reported number of policemen, military and security guards killed in Venezuela as of October (342) suggests that this year could break a new record. It also shows that there is no clear balance between the number of public officers and criminals killed. The ratio of agents to criminals killed during clashes in 2016 is 1 for every 13. Furthermore, according to Sandoval, only 61 officers were on duty when they were attacked — that is, only 17.4 percent. According to one of Provea’s spokespersons, during the 2016 “People’s Liberation” operations only one police officer was killed by criminals, and only three injured. Even so, police deaths concern the government due to their ever increasing numbers in the last few years. During a meeting with heads of the country’s police forces, the Minister of the Interior, Justice and Peace, Major General Néstor Reverol, suggested that criminal gangs could be considered “paramilitaries,” which he claims is sufficient to warrant a greater use of lethal force against them. Since the appointment of this military officer from the National Guard last August, the average number of people killed by police has reached 525 people per month. 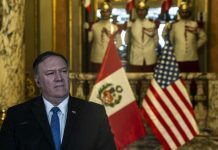 According to Rodríguez, the discourse on the fight against an “internal enemy” has become so prevalent that government practices are unlikely to change any time soon. “There is a consensus that may hinder the implementation of other policies. The biggest concern is that our justice system is partial and corrupt, which allows for 98 percent impunity in crimes,” he warned. This article originally appeared on Insightcrime.org and is republished here with permission.